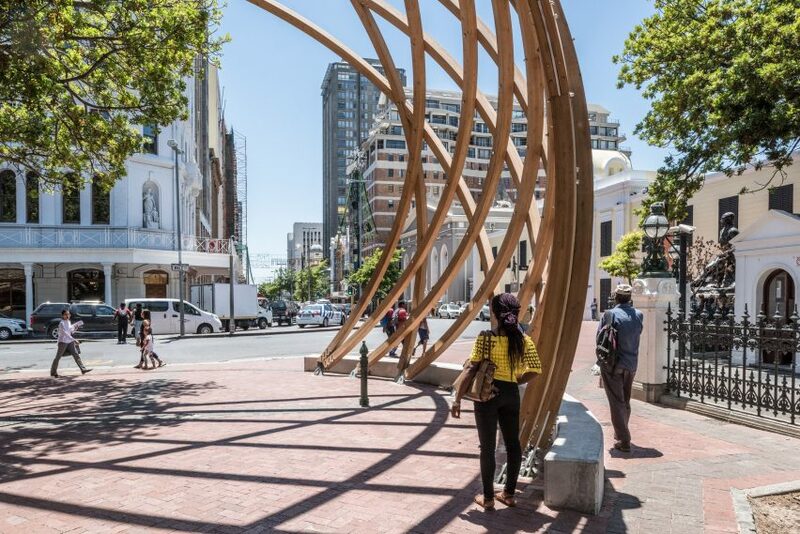 Architecture firms Snøhetta and Local Studio celebrate South African anti-apartheid activist Desmond Tutu with this monumental arch, which was unveiled in downtown Cape Town during this year’s Design Indaba. Called Arch for Arch, the memorial structure was created to commemorate the tireless efforts of Tutu – the nation’s first black archbishop – in campaigning for democracy in the late 1970s and early 80s, earning him the nickname “the arch”. 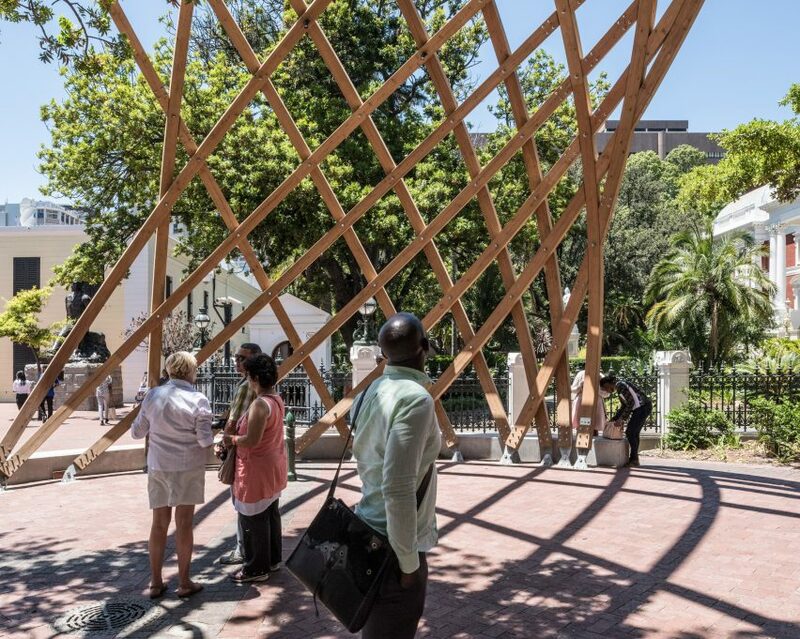 It it made from 14 intertwined lengths of bent wood, representing the 14 chapters of the South African constitution, which was played a pivotal role in the demise of apartheid. 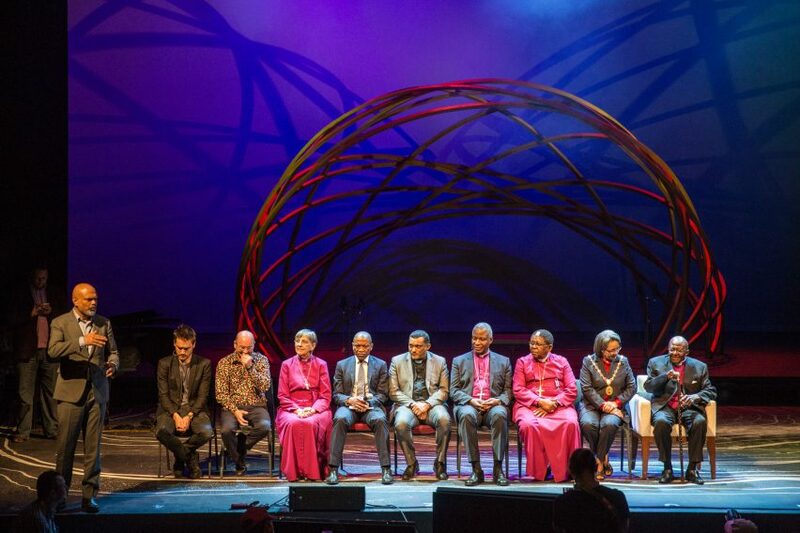 “The Arch for Arch is more than a monument for Archbishop Tutu,” explained designers from Snøhetta and Local Studio, who collaborated on the project. 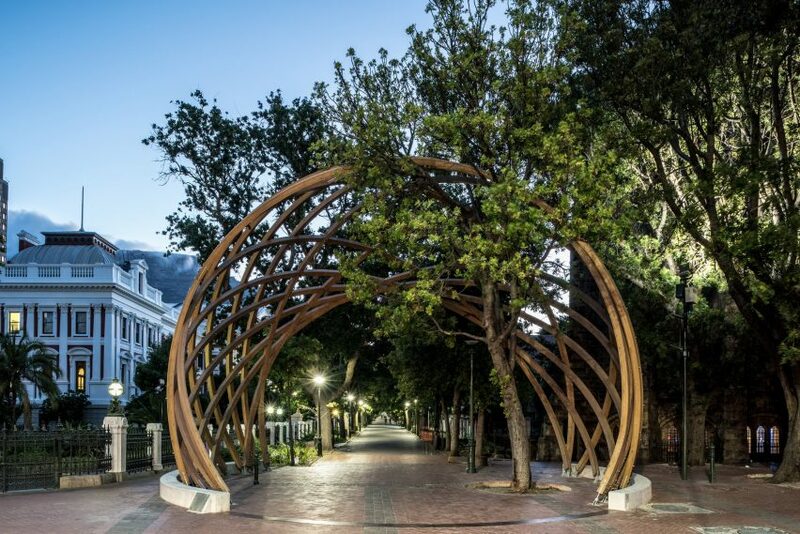 The design of the arch was first unveiled during the 2017 edition of Design Indaba – the design conference that takes place annually in Cape Town, led by founder Ravi Naidoo. 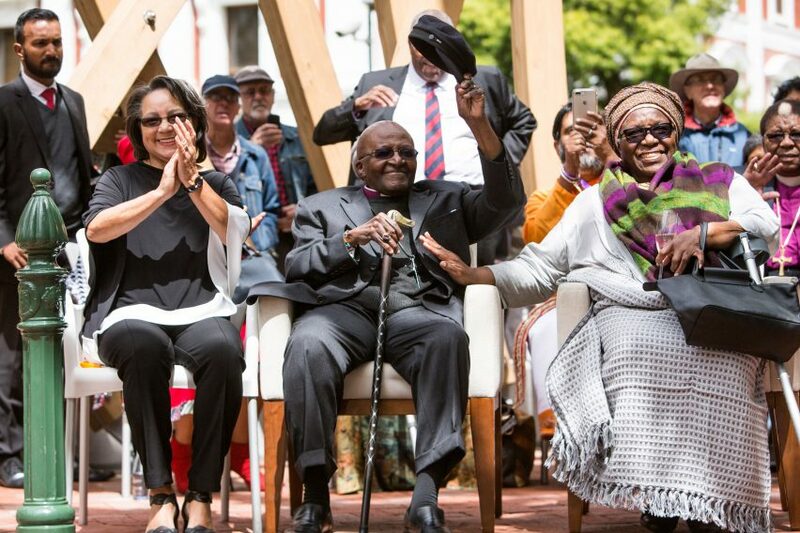 Tutu came on stage to join the celebration, during which a 48-person choir surrounded a prototype of the arch to sing a chorus. The completed version was unveiled on 7 October 2017, Tutu’s 86th birthday, and it formed a key attraction at Design Indaba 2018. 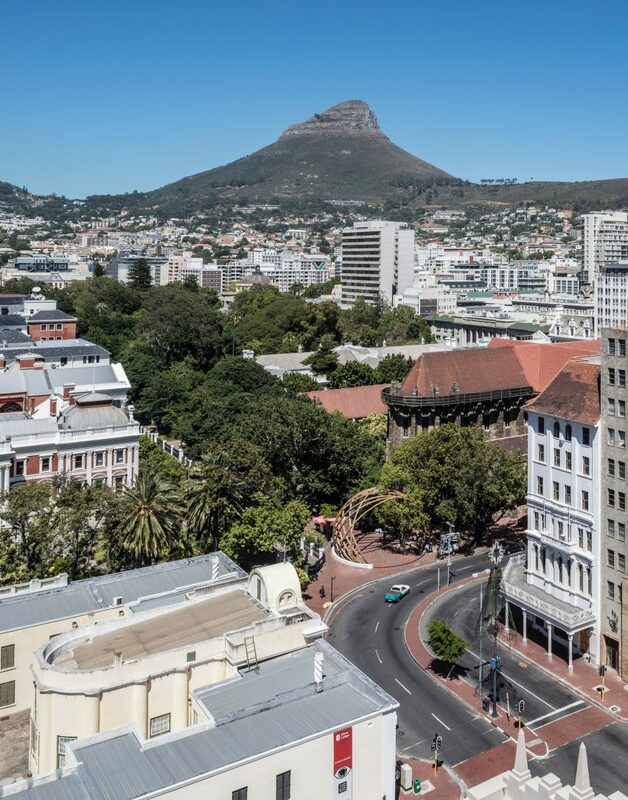 It is located between the national parliament and St George’s Cathedral, on a site that Tutu himself used during anti-apartheid protests. Measuring nine metres in height, the arch takes on a spherical form, intended to recall a globe. It is made from larch wood, which is expected to gain a tactile patina as its ages, and simple concrete benches wrap around its base. 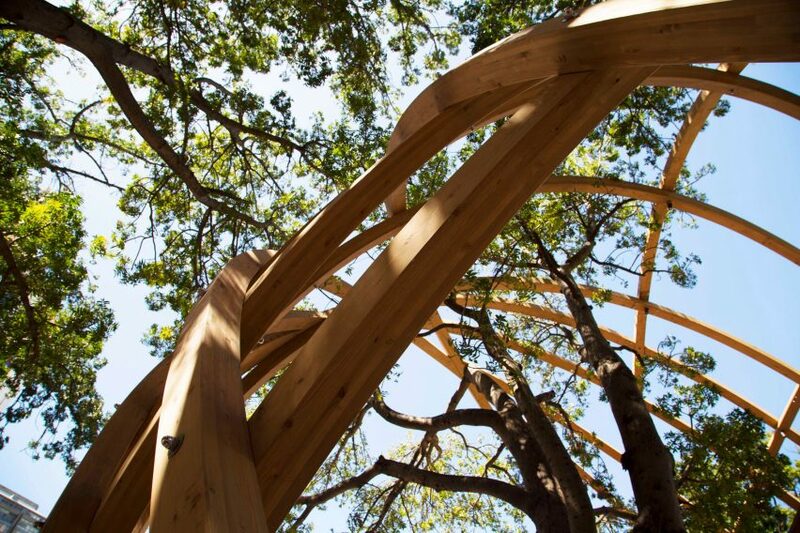 “We felt it was important to move away from the conventions that are associated with the design of traditional monuments, by using warmer, tactile materials like wood, which invite people to engage directly with the piece,” said the designers. In addition, the prototype model of the structure has now been installed in a permanent location on Constitution Hill in Johannesburg. The aim was to create a link between this institution, which is South Africa’s highest judicial court, and the national parliament. Snøhetta is an Oslo and New York-based studio, famed for projects including the Oslo Opera House and the September 11 Memorial Museum in New York. The firm was paired up with Johannesburg-based by Local Studio by Design Indaba. The project was backed by South African financial services company Liberty, which is one of the main sponsors of the conference. Dezeen was media partners for Design Indaba 2018, which took place in Cape Town from 21 to 23 February. 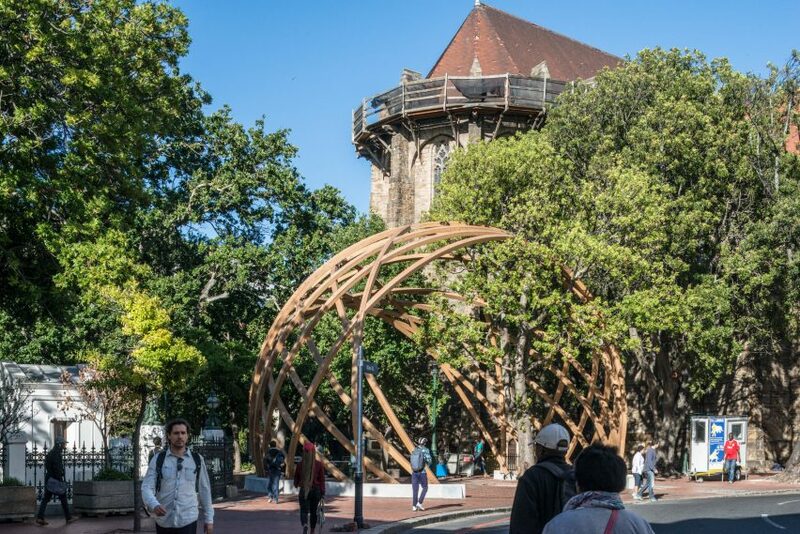 This year saw the event unveil another new project for Cape Town – a plant-covered bamboo sphere designed by landscape architect Peter Veenstra.